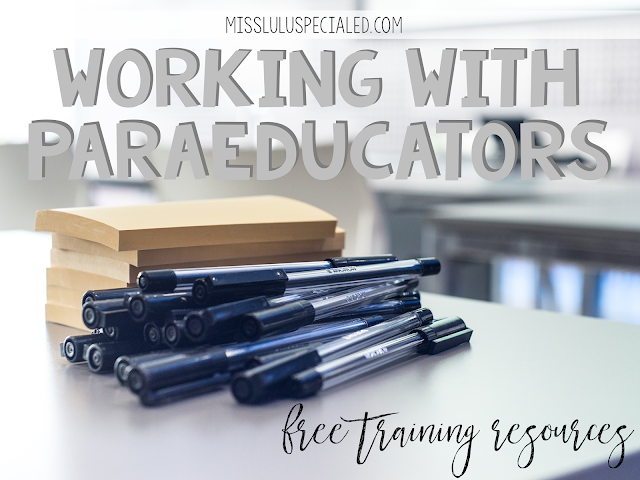 Working with and managing paraeducators is one of the toughest parts of being a special educator. I am constantly hearing SPED teachers begging for help with their paraeducators. The fact is we couldn't run our classrooms without our paras. Unfortunately, we don't have a lot of time or resources to put into training and teaching them, but luckily, there are some wonderful people who created resources for us. AbleNet Recorded Webinars: AbleNet is curriculum and technology company that creates products for individuals with disabilities. Not only is their curriculum amazing, but they have a wealth of free webinars available for educators. You can also sign up for live webinars for free. Currently, AbleNet has several webinars related to paraeducators. Some are specifically for paraeducators and others are for the teachers managing the paraeducators. Check them out here. PaTTAN Training Series: These free training sessions for paraeducators are great. There are so many topics! You do have to create an account for this one, or you can just download the training materials here and wing it. Project Para: This is a self study program for paraeducators that is currently free of charge. You have to request registration for your school but then you can add as many paras as you want. Each unit has a pretest, an activity, and a posttest that must be evaluated by the teacher. There are 14 units, from special education basics to assistance with certain subject areas. Units take an average of 2 hours to complete. You can sign up here. 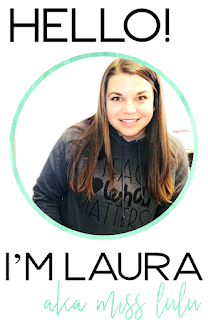 You can see how I work with my paras in this 3 part series- Part 1: Hiring & Establishing Expectations, Part 2:Scheduling & Ongoing Communication and Part 3: Training. How do you train your paras??? Thank you so much for taking the time to write such a thoughtful, helpful and simply amazing resource! I am a new special education teacher and working with paraprofessionals has been the most stressful part of my new teaching career! I knew I wanted to implement training and was completely lost on how to start it off. I can't wait to implement ideas that you mentioned here.